In the midst of the incredibly touristy Food Street in Chinatown is this little Vietnamese joint. One of those places you would miss completely in the overwhelming number of eateries. 1) Not enough lemon grass. 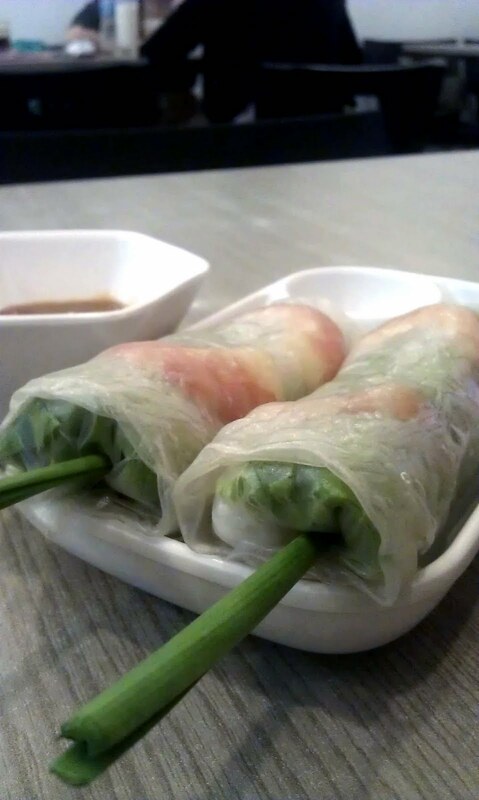 While there was that one long sprig outside, there's next to none inside, and the bulk of the inside were vermicelli. 2) Sauce - the "homemade bean sauce" was more like satay sauce, and I much preferred my sweet chilli! I liked the 'skin' - it wasn't too thick or too oily, just nice to encase the filling lightly. Yea I also would have preferred the regular sweet chilli sauce, although I suppose the peanut-y sauce is somewhat unique. This was okaay. Nevertheless, it was dense and prawns were fresh, but I expected more! 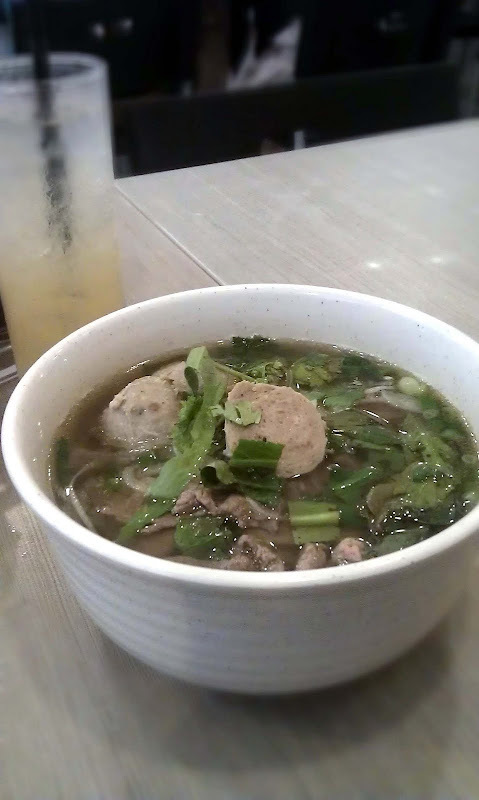 I had the Slice Beef and Beef Balls with Pho - Pho Tai Bo vien ($6.90) - pretteh good. Pho soft and chewy and soup flavourful - the beef balls were the real winner in this dish, versus Ngau Kee I think can fight man!!! Dense and springy, unless those soft mushy crap you sometimes get (at chinese noodle stalls). There's something comforting in slurping this down. I wish the soup stock was beefier and thicker, it would have been a better balance with the fresh basil and parsley inside. 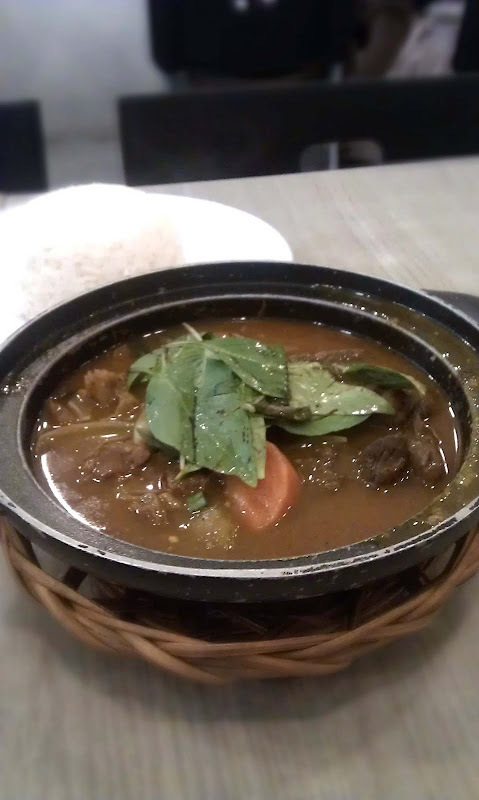 We also ordered Vietnamese Stew Beef - Bo Kho ($6.90) with a side of rice. Now this was beefy - the sauce was very sweet and fragrant, presumably having been cooked for some time. I enjoyed the first few bites, but somehow the flavour kind of died off for me. It's like it hits you quite powerfully the first few times, and then falters. Might just my tastebuds being cranky though! Anyway this is a very generous portion of beef - possibly even enough for two! Oh I also wished the rice was bit more fluffy.. this actually came dry and clumped together. Man, the white rice was epic fail - it was stone dry and even after dribbling sauce it was hard and teeth-sticking. Meh. Soup was pretty good though, very generous with portions of mystery beef cuts and the basil goes well! It was ... it was ... nniicceeeee but not particularly very memorable, like I wouldn't be like "hey man i just NEED TTOOO GO BACK THERE FOR VIETNAMESE FOOD". No, wouldn't happen.